In late December 2005, seeing the vulnerability of the Seatrees Estate in Two Rocks to bushfire, then Chief Bush Fire Control Officer/Community Fire Manager Mike Teraci proposed the formation of Two Rocks Volunteer Bush Fire Brigade. The Seatrees Estate is a rural estate located about five minutes east of the Two Rocks townsite. This area is protected by the Yanchep Volunteer Fire and Rescue Service for structual and bush fire but they are located 20-30 minutes away from the Estate. Consultation with the residents in the area established that there was a good deal of interest in forming a Volunteer Bush Fire Brigade. Mike followed up on the logistical side, including the costs to council, membership, local law, appliances and a new station. On April 26th 2006 an agenda item was put forward to Council to consider the establishment of a Volunteer Bush Fire Brigade in the Two Rocks area. Council endorsed the proposal and the Two Rocks Brigade was formed. Jeff Hord assisted Mike and played a major part in setting up the brigade and was elected inaugural Captain, a position he held for eight years. The Brigade was initially based in a shed on Jeff Hord’s property in the Seatrees Estate and the firefighting appliances were housed there until 2013 when the City of Wanneroo built a fire station on Caraway Loop in the Breakwater Estate. The brigade held its first meeting in the new station in December 2013. A new engine bay was added to the complex in 2014 and in 2017 an additional meeting room was added. The complex was provided with asphalt and fencing in September 2018. 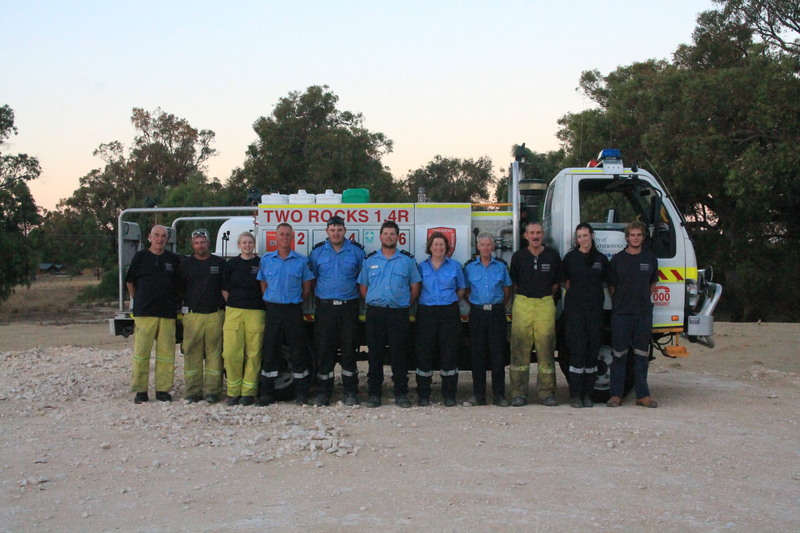 In January 2018 Two Rocks BFB welcomed the new Two Rocks SES Unit as a co-located unit at our station.